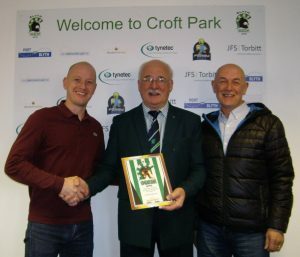 The Man of The Match sponsor for the Rushall game was Peter Ridley. 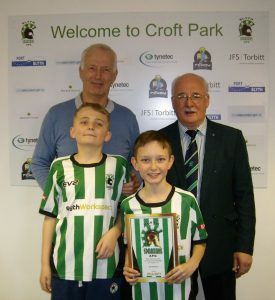 Peter was accompanied by two friends and their sons who were also mascots at the start of the game. The final guests in the Sponsors Suite were staff from George Smith Ltd. a bespoke furnishing business, based in Cramlington. The company has recovered the bench seats in the Social Club (free of charge) as part of an exercise for their apprentices. All sponsors had a thoroughly good afternoon enhanced by the nail biting finish to the game.